2015 was quite a year for bleeding edge technology. Every console generation brings superior hardware to the forefront for many reasons but at the end of the day, it all comes back to graphics. Full HD resolutions, frame rates in the 60s (and locked, thank you very much), bleeding edge anti-aliasing, anisotropic filtering, real-time weather and so on have been discussed ad nauseam throughout the year. Some games delivered nothing but visuals, compromising on gameplay in the process. Others lived up to the massive hype preceding them and balanced luscious polygons across all platforms with some amazing story-telling and gameplay. We were simultaneously impressed by the attention to detail of some developers and the sheer scale of the worlds that others had created. What game deserves the nod for best graphics of 2015? Let’s look at the nominees. Is Star Wars Battlefront the resurgence of the classic series that we know and love? No, but with regards to pushing the envelope for visuals, it presents a level of graphics quality that we’ve yet to see from other games. Many of Star Wars Battlefront’s graphical highlights come from its association with the Star Wars franchise. The use of photogrammetry to capture hundreds of images of props, sets and costumes to recreate them in flawless detail is one such example. However, Battlefront also uses an absurd level of alpha effects, post-processing effects, depth of field and a full physically based rendering pipeline to feel like Star Wars as opposed to simply looking like it. Don’t get us wrong – all of the nominees are visual delights in their own ways and any one could present a venerable photo album of beautiful moments. 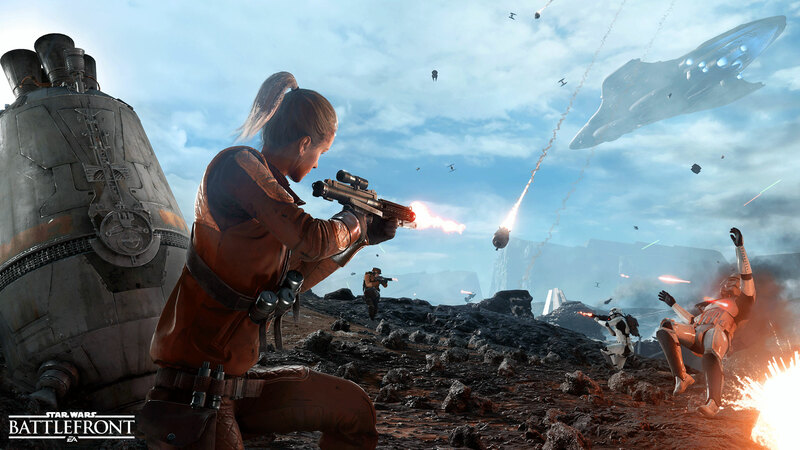 But when it comes to a level of visual quality that isn’t daunted by its lack of a full HD resolution on consoles, Star Wars Battlefront is our pick for the best graphics of 2015.